Welcome to the Voltaire Foundation’s first blog. We are the publishers of the first critical edition of Voltaire’s Complete Works, as well as monographs in the SVEC series touching on all aspects of eighteenth-century culture, history and literature. As a publisher and research department of the university of Oxford, we are fascinated by networks. After all, if Voltaire were alive today he would no doubt be a prolific social networker, blogging incendiary material, fuelling large Facebook thread debates and over-using #infâme on twitter. In this spirit, this first post is a gateway to the online eighteenth-century community with links to interesting blog posts, databases and projects, to further encourage a network of exchange. Epitomising the spirit of this blog post is the Mapping the Republic of Letters project. 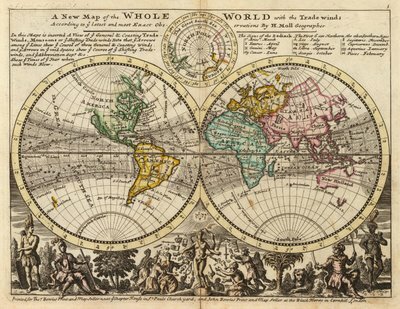 Based at the University of Stanford, this interdisciplinary and international project has been shepherding huge amounts of data acquired from the correspondence, travel and social networks of early-modern writers. To see this research in action, you can watch Scott Spillman and Julia Mansfield’s paper on Benjamin Franklin. For access to eighteenth-century letters, there is of course Electronic Enlightenment, an online collection of edited correspondence, which gives users access to over 60,647 historical documents. Also focused on networks is The French Book Trade in Enlightenment Europe project, which uses database technology to map the trade of the Société Typographique de Neuchâtel, a Swiss publishing house that operated between 1769 and 1794 and published Voltaire among others. The database allows you to see for instance when and where books were sold and is an invaluable tool for understanding how the book trade operated in eighteenth-century Europe. Candide, the ultimate Bildungsroman, built from a network of tales from across the globe, is now available as a free enriched digital edition thanks to a collaboration between Orange, the BnF and the Voltaire Foundation. 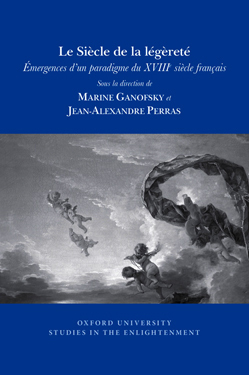 We were present at a talk on 24th March at the Salon du Livre in which the BnF’s Thierry Grillet spoke of Candide as a blank page printed upon by his experiences and the characters he encounters. This idea of a base text enriched by layers is one that translates to this app, which can be used as a simple book but really rewards further exploration with its additional materials: videos, iconography, and opportunities for further discussion. If this tickles your fancy, you might be interested in our latest SVEC monograph, Medicine and narration in the eighteenth century, edited by Sophie Vasset, which explores the overlapping narrative strategies in the writings of novelists and doctors. What are your favourite eighteenth-century online resources? Do make the most of the comment box to share. This entry was posted in Round-ups, Voltaire in the 21st century and tagged Alun Whitney, Benjamin Franklin, BnF, Candide, Electronic Enlightenment, Infâme, James McKittrick Adair, Julie Mansfield, Lumières, Orange, Scott Spillman, Société Typographique de Neuchâtel, Sophie Vasset, SVEC, Thierry Grillet, University of Stanford, Voltaire, Voltaire Foundation. Bookmark the permalink. My first blog post for the Voltaire Foundation. Despite its name, this site gives details of all German translations of Voltaire, based on the Fromm bibliography. This lists, year by year, digitised books available on Google, which are arranged under their initial title-letter in each year. It often includes – no doubt for excellent reasons – items which don’t necessarily appear on a simple Google Books search for the same title. A list, alphabetical by title, of all the works (including those of Voltaire) available on Gallica. It can save a great deal of time, since a Gallica search looks for word correspondences, and can produce innumerable unwanted results.